The pressures of human evolution could explain the apparent rise of disorders such as autoimmune diseases and autism, researchers say. Some adaptations may even help such ailments persist. Previous work in evolutionary medicine helped explain why disease is so prevalent and difficult to prevent. Because natural selection favors reproduction over health, biology evolves more slowly than culture, and pathogens evolve more quickly than humans. Hidden but ongoing pressures of human evolution could explain the seeming rise of disorders such as autism, autoimmune diseases, and reproductive cancers. Some adaptations that once benefited humans may now be helping such ailments persist in spite of — or even because of — advancements in modern culture and medicine. ● Autism and schizophrenia may be associated with the overexpression of paternally or maternally derived genes and influences, a hypothesis advanced by Bernard Crespi of Simon Fraser University. ● Maternal and paternal genes engage in a subtle tug-of-war well into childhood, with consequences for childhood development, according to David Haig, George Putnam Professor of Organismic and Evolutionary Biology at Harvard. ● Humans may be susceptible to allergies, asthma, and autoimmune diseases because of increased hygiene, according to Kathleen Barnes of Johns Hopkins University. Without being exposed to intestinal worms and parasites, as our ancestors were, our immune systems are hypersensitive. 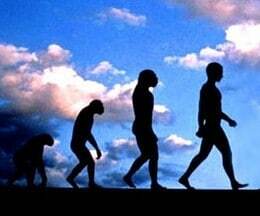 ● Natural selection still influences our biology, despite advances in modern culture and medicine. Stearns found that natural selection favors heavier women and reduces the age at which a woman has her first child. “I think that the main take-home point is that evolution and medicine really do have things to say to each other, and some of these insights actually reduce suffering and save lives,” said Stearns. PREVIOUS POST Previous post: How Do Ghosts Move Objects?